Doesn’t need cooking/heating or any attention at all once it is done. Eventually, after stalking around the farm shop I stumbled on a few things that gave me a great idea, so I have a brilliant idea to bring out for nibbles while everyone is waiting for food or when the food has all gone and there is still ample alcohol flowing! 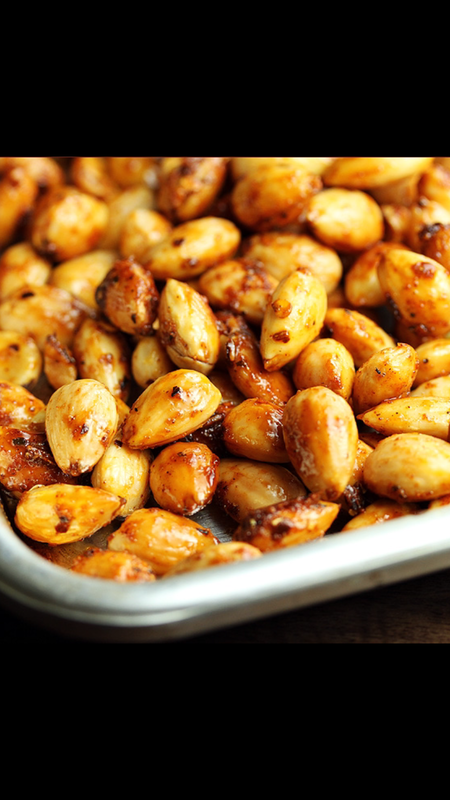 Firstly I spotted a massive bag of nuts in the farm shop, and thought that I could attempt some sort of spicy but sweet nuts. And this ended up being so simple. I’ve put no measurements on the above as I didn’t measure anything out and it all depends on your personal preference of sweet and spicy. Line a baking tray with greaseproof paper, spread out your nuts. Drizzle over the honey, sprinkle over the sugar and chilli flakes (I used probably about half a cup/50g of each). Pop into a preheated oven (170degrees) and leave for about 40 mins, until they are golden brown. Allow them to cool a little then sprinkle with coarse sea salt, separate with a fork and I put mine into a freezer bag to store. This makes it easier to separate with your fingers even more when they are cooler. And viola, really simple but guaranteed no one else would take something similar and completely different from the normal coleslaw or bread rolls!